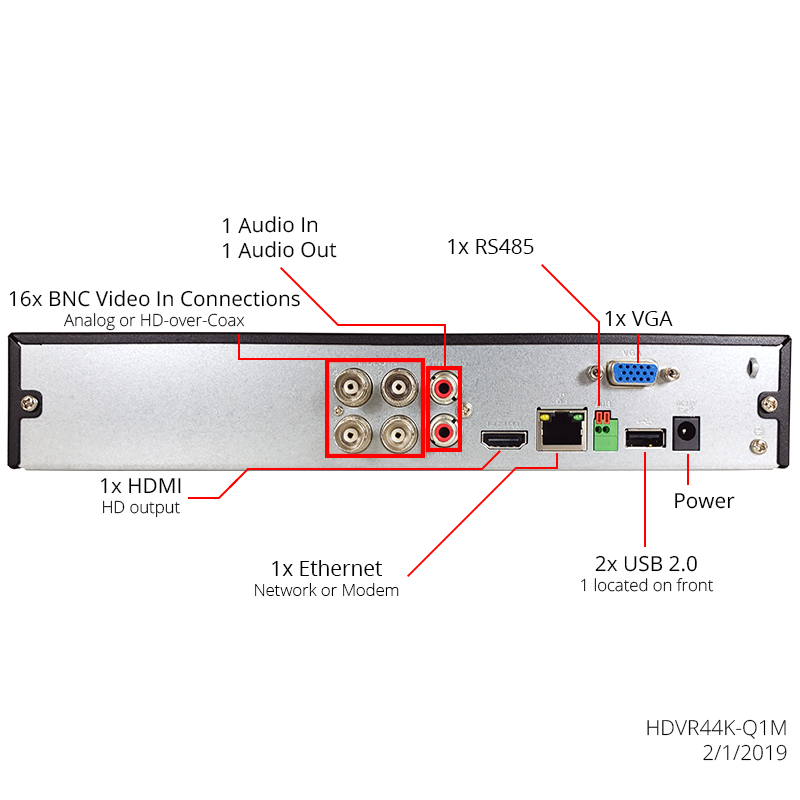 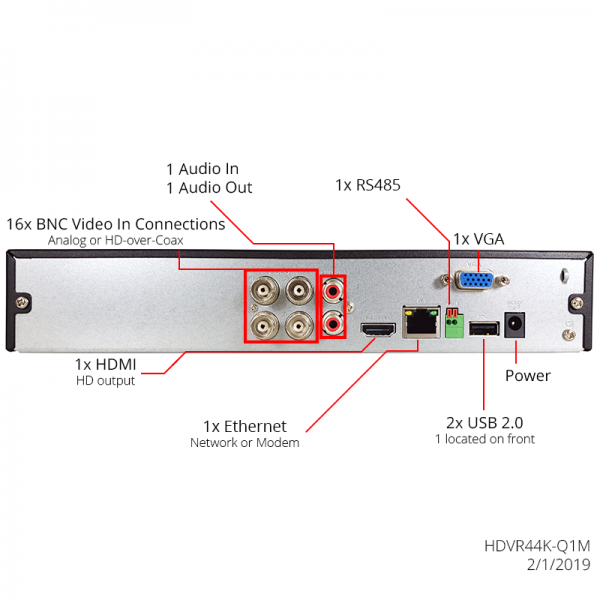 The HDVR44K-Q1M 4 camera 5-Way DVR is an all-in-one recording solutions that supports 4K / 8 Megapixel HD-over-Coax (CVI/AHD/TVI), Analog and IP cameras up to 5 Megapixel using RG59, CAT5/6 or Fiber cables. 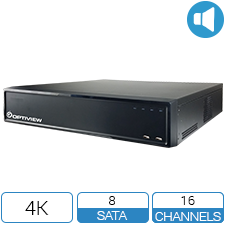 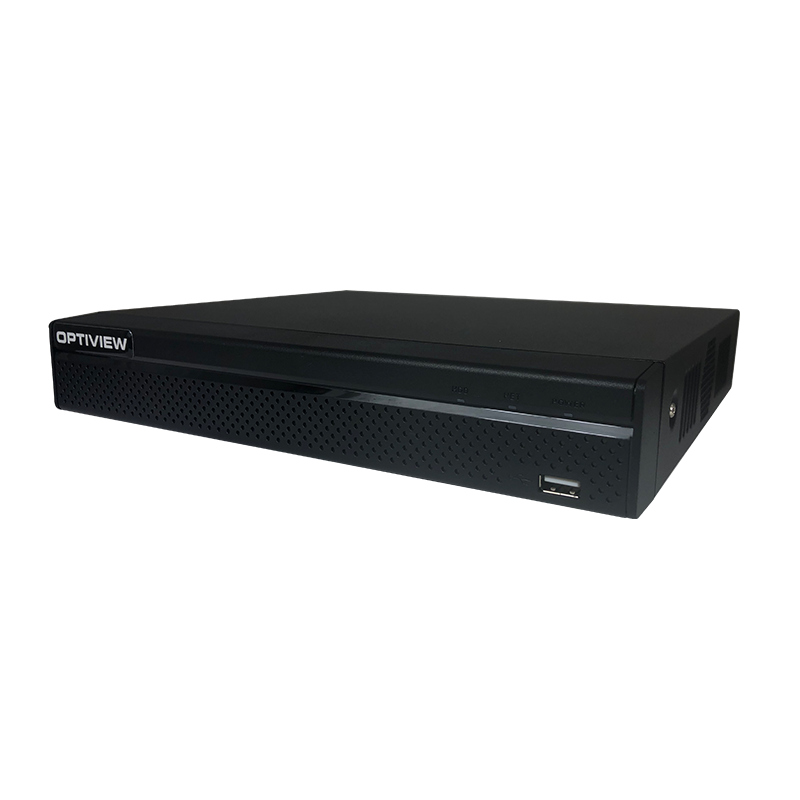 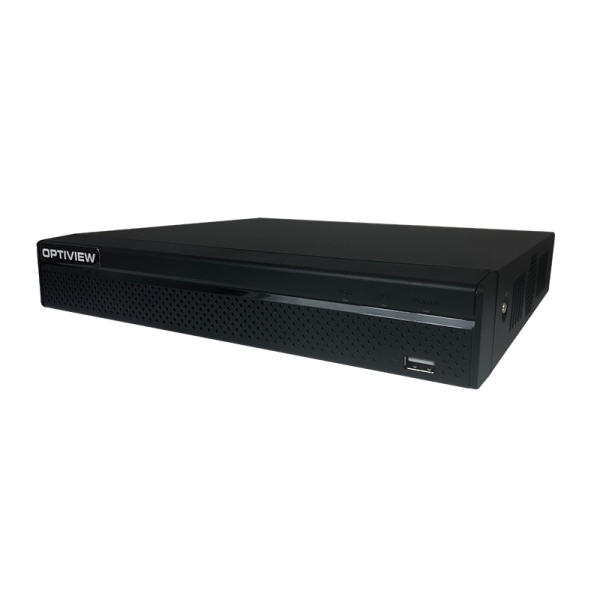 The HDVR44K-Q1M 4 channel 5-Way DVR records up to 4K at 7fps and 1080P (Real- Time) with up to 1080P playback. 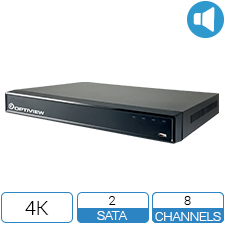 It has 1 RCA audio input and a single output which supports Two-way Talk. 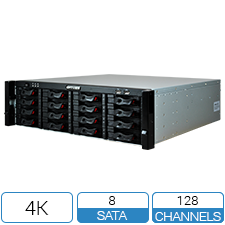 There is plenty of room to record with a storage capacity of up to 10TB.